The wet fall and delayed harvest of 2018 has left a lot of Ontario soybeans still in the field. This is a big deal, especially for farmers who are growing Identity-Preserved (IP) soybeans with a premium of several dollars per bushel! And the main question growers are asking: If my beans are wet, can I bin-dry them with regular air? Will it work? What do I need to know? The answer is: Yes! Natural air drying is a great option, especially for IP soybeans. IP beans can scorch and discolour in a heated-air dryer, which could cost you the premium. Some IP growers have had success drying beans with air temperatures around 85°F, but get permission from your buyer before attempting. Natural air drying, by comparison, is extremely gentle on soybeans and will allow you to dry them to just the right moisture level! Despite what you might think, Ontario’s fall weather is quite suitable for drying soybeans. All it takes is a bin with a fan, and maybe a small heater. Harvest at 18% moisture or less. Soybeans above this moisture will crush and bruise more easily. Soybeans below 12-13% will have higher shatter and field losses. Beans between 13-18% should harvest well, and will dry easily. Set up a bin with 2 CFM of airflow per bushel of grain. Use a bin with full aeration floor. 2 cubic feet per minute (CFM) of airflow per bushel of grain is recommended for natural air drying. As a rule of thumb, most fans produce about 1000 CFM per 1 horsepower, but this depends on fan type – contact your fan supplier for detailed charts. If your fan is too small, increase the “effective” airflow by putting fewer bushels in the bin. Install at least 1 square foot of vents per 1000 CFM of fan airflow. Too few vents leads to slower and uneven drying. Space vents evenly around the bin, and keep them back from the eave. Use multiple rows of vents in large bins (greater than 36 feet diameter). Fill bins 12-15 feet deep or less. Deeper grain creates more back-pressure, or “static pressure”, which makes the fan work harder and reduces the airflow. Shallow grain will dry more quickly. Core the bin after filling. Fines take up space between the kernels, creating more static pressure and reducing airflow. Fines collect in the centre of the bin during filling. Core the bin by removing grain until an “inverted cone” is visible on top, approximately one quarter of the bin diameter. This will remove the bulk of the fines. Clean the removed grain and return it to the bin, or sell it for feed. Level the bin after coring. Un-level grain results in uneven airflow. The centre of the bin can take 50-80% longer to dry (Figure 1). It may take several hours to level a bin manually, but could save days or weeks of drying time. For SOYBEANS, turn off the fan in damp weather. Soybeans give up (and take on!) moisture easily. Run the fans only when drying will actually occur (e.g. when the EMC in Table 1 is lower than the actual moisture of the beans). NOTE that this recommendation is NOT true for corn – corn should be dried with the fan continuously running until the grain moisture at the top of the bin begins to drop, otherwise the drying can “stall”. The risk of stalled drying is much lower in beans. Instead of turning off the fan, warm the air by up to 8°C (up to 15°F) during damp weather. A 5-8°C temperature increase lowers relative humidity by 20-30%, which allows drying to continue even in very damp weather. A propane or electric heater with 15,000 BTU/h (4.4 kilowatts) heat output or less for every 1000 CFM of fan airflow will do the trick. This small amount of heat will not damage the beans, and will speed up drying. However, only run the heater when needed – heating air that is already lower than 70% humidity will result in over-drying the beans! 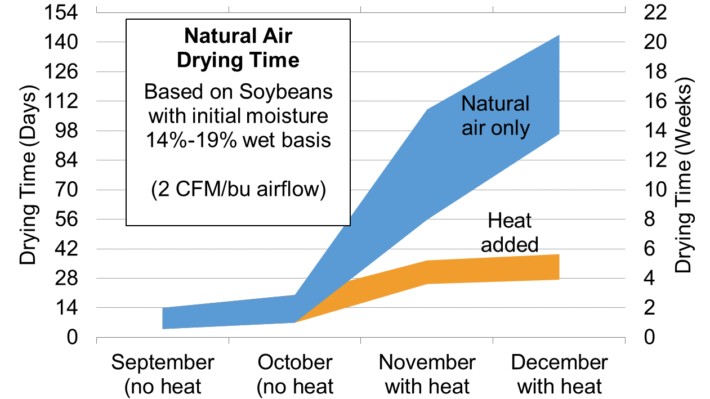 Figure 2: Estimated time for natural air drying of soybeans, with and without additional heat added. EMC values indicate the final grain moisture after drying. Temperature and Relative Humidity (RH) are based on 30-year average data from London, Ontario. How long will drying take? The big question is drying time – and it’s a tricky one. Expect drying to take several weeks or more. The exact time depends on weather, airflow, crop quality, and grain moisture. For soybeans the average drying time SHOULD fall somewhere within the chart in Figure 2, when using the recommended 2 CFM per bushel of airflow. Keep in mind this is only approximate, and can vary depending on local weather and other conditions. You can clearly see the benefit of adding just a few degrees of heat in damp weather! Monitor the drying progress in your bin by taking regular samples at different depths. Or (even better) use temperature and moisture monitoring cables if you have them! Because drying takes several weeks, double-check in Table 2 how long you can store your beans (in days) before spoilage becomes significant. In most cases, even very wet beans harvested late in the season will keep for 2-3 months (or longer) without significant spoilage. This should allow more than enough time to complete the drying process. To monitor the Equilibrium Moisture Content, have a look at BinCast. It’s available at www.weathercentral.ca. 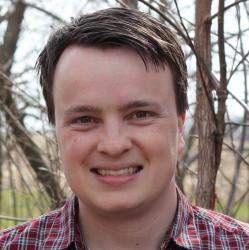 Create an account (it’s free!) and use BinCast to give you a week-long weather forecast, complete with EMC for each hour! It’s a great way to plan your drying for the next week. To see how your fan performs, go to the University of Minnesota’s Fan Selection Tool, available at https://bbefans.cfans.umn.edu/. You can choose your grain type, enter your bin size, and select the fan you have. The program will tell you how much airflow your fan produces, and the CFM per bushel in your bin. 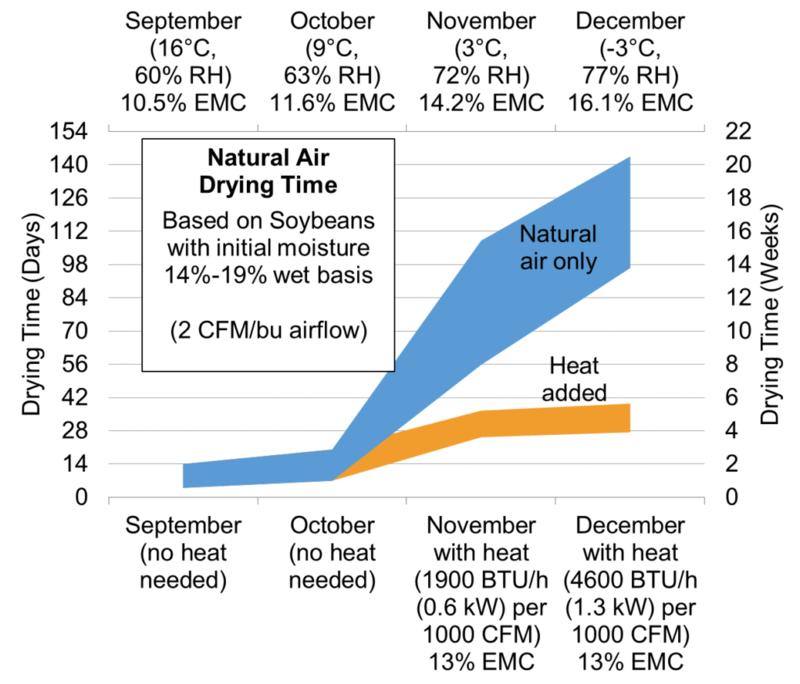 Natural air drying of soybeans is not only possible; it’s practical and achievable! All it takes is a bin, a fan, maybe a heater… and a little bit of patience.